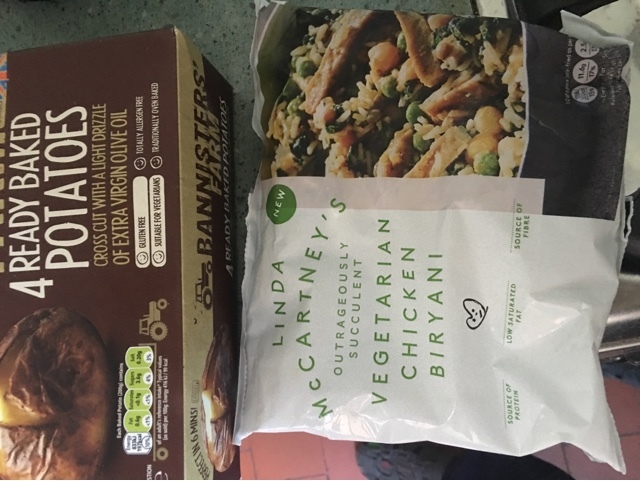 Linda McCartney brand food has been around longer than most vegetarians have, but as we discussed previously still seems to have a mission statement to make things look and feel meaty. Here we have a bag of frozen chicken biryani for two. It cooks easy enough, add as little oil as you can get away with and heat/fry it up from frozen in around 10 mins for both portions. It doesn't look like much, and doesn't have the wow factor of the actual meat Chinese version with noodles I had before, but it's pretty reasonable. 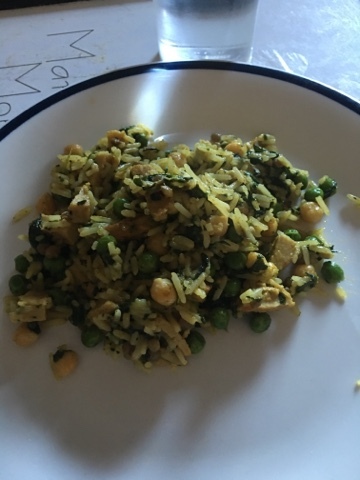 The rice has texture, there are a couple of different veggies in there so every bite is an adventure. The textured chicken substitute isn't exciting though, and really is the weakest part. It's a little too rubbery and after some of the fab veggie and vegan food I've been eating recently just not that special. I'd have been happier with a larger portion and another kind of veg added in. As a lunch it was an ok portion, but I cooked this up as an evening meal and felt a little short-changed. A decent solid package, that takes no thinking or skill to prepare (perfect for students on a budget too). Not something I can recommend unless you really want a quick veggie meal that you can do in one pan.